Let's get creative! 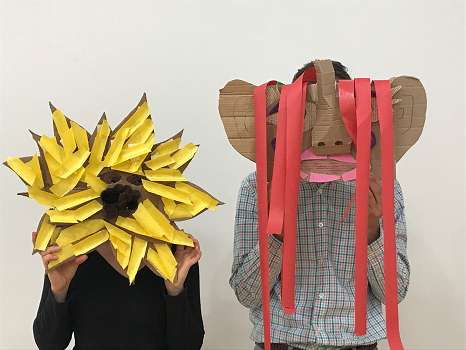 Together we'll build masks of varying sizes out of cardboard and other recycled materials! We can build a giant sunflower face, a funny face, a lion, and anything else your can think of! Art in the Park, a free program hosted by Common Street Arts, is designed to foster creativity and community among residents and visitors to Waterville. Art in the Park takes place every Thursday in Castonguay Square and works with area teaching artists to develop unique arts programming- providing workshops and special family-friendly activities for free.